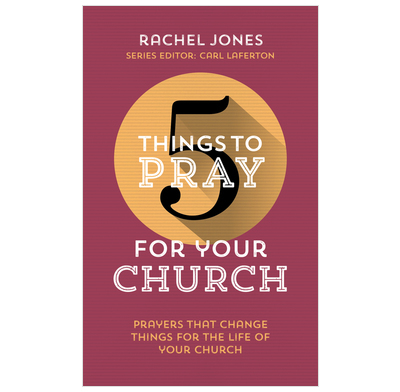 Transform your prayer life with fresh prayer ideas for your church, all drawn from Scripture. We long for God to be working in our church fellowship, and we know we're meant to be praying for our church. But often when it comes to it, we don't quite know what to ask for. Or we feel our requests to God are shallow, repetitive and stuck in a rut. That's where this little book is designed to help. It will equip you to pray powerful prayers for your church family—prayers that really change things, because they're based on God's word. Each spread takes a passage of Scripture and suggests 5 things to pray for an aspect of church life. Because when we pray in line with God's priorities as found in his word, our prayers are powerful and effective (James 5 v 16)—and that's a truly thrilling prospect. We bought enough copies to give to each adult in our medium-sized church. We started in January 2019, working our way through it a section at a time, using it as a focus for weekly prayer – sometimes through the Sunday services, but mostly in midweek housegroups, and encouraging members of the congregation to use it in personal prayer through the week. It’s already proved to be excellent for these purposes, not only helping direct our prayers for each other in the church in a way that deals with areas we might not otherwise pray for, but – most importantly of all – encouraging us to pray in a way that goes with the grain of Scripture. Very grateful for this excellent resource.